The master class included applicable tactics on how to treat customers like royalty. With nearly 125 people in attendance, the fuel provider was able to share best practices with 40 of its branded locations. Training topics included contributing to a culture of care, etiquette and grace, and tactics to amaze and wow. Each topic fed in to the others for a dynamic approach to excellence in service. Avfuel also brought with its team a guest speaker from Zingerman’s—an Ann Arbor, Michigan-based company known for customer loyalty and providing memorable experiences. 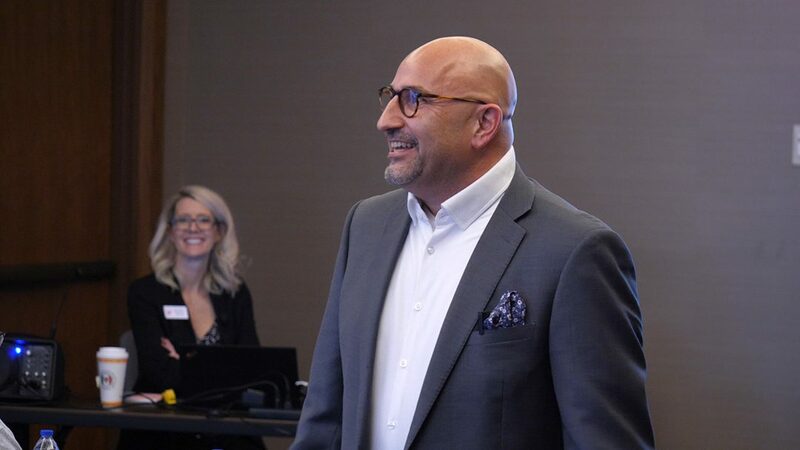 The speaker, Steve Mangigian, expanded on the topics of building a culture of care and providing a memorable customer experience. In addition to this onsite customer service master class, Avfuel offers its branded FBOs free access to customer service training through the online Avfuel Training System (ATS). Designed to address issues specific to aviation-related businesses, the customer service training program offers content that can be applied directly and immediately to FBO operations. Through the program, staff members learn about fostering a culture of care, some key service essentials, and how to truly amaze and wow their customers. This program is in addition to fuel safety training and training on Avfuel’s programs. All courses are user friendly—utilizing videos, downloadable course materials and online quizzes—requiring little to no management on the part of the FBO. Staff members can independently take the courses as time permits. For more information on Avfuel’s training resources, visit avfueltraining.com.